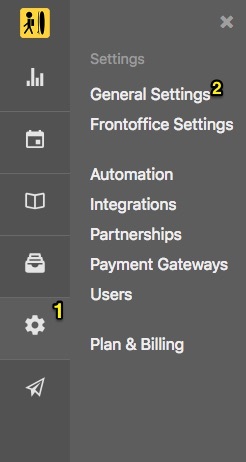 In case you use Xero for Invoicing you can skip this section. 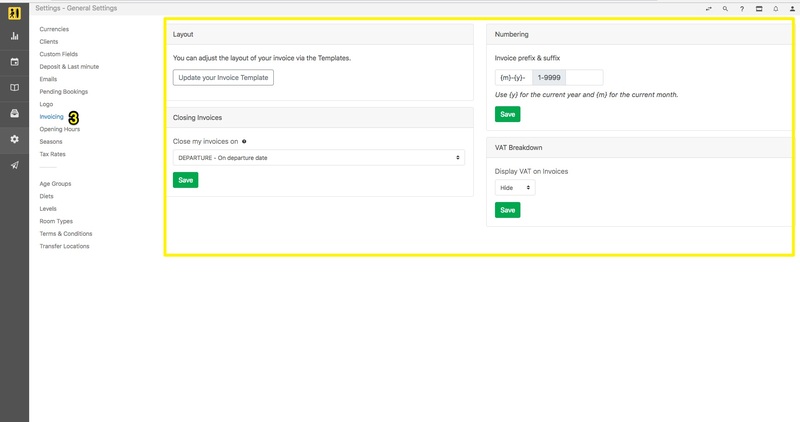 By default, Bookinglayer inserts your company name, address information and VAT number on each invoice. You will see four setting categories: Layout, Numbering, Closing invoices, and VAT Breakdown. The layout of your template is how it displays to the customer. You can adjust this via the templates section. 1. 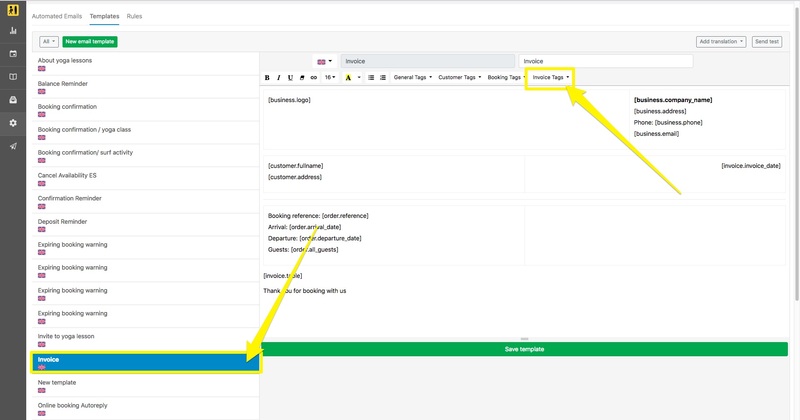 Click on the button "Update your invoice template"
4. 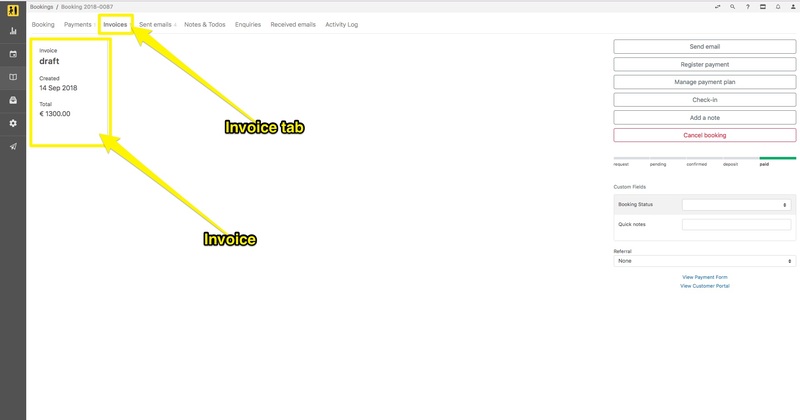 You can check how your invoice displays to a customer by accessing any booking and clicking on the invoice tab. 5. 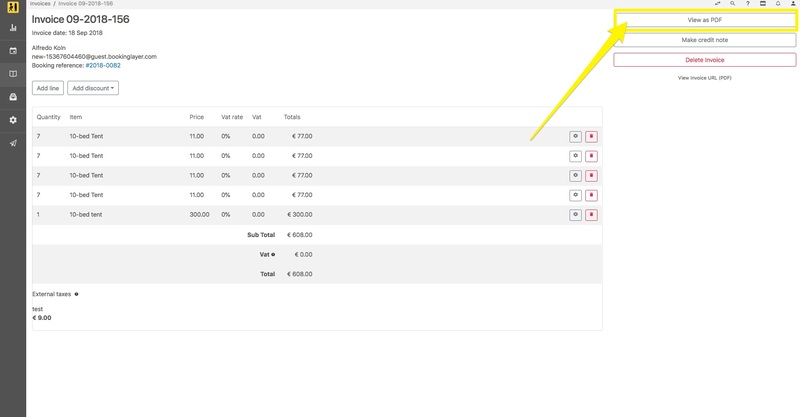 You can also access them directly through the invoice tab in the Bookings module. 6. Ensure to open the PDF version to view the layout of your template.